If you are a regular reader, then you may remember that we took a trip to Bluestone Wales in November last year to check out their festive offer. Everyone had a great time, so when the opportunity came up to go again as part of their #BluestoneBlogger programme and we jumped at the chance and couldn’t wait to check it out in the sunshine this time. We weren’t disappointed. So, here is our very own pocket guide to Bluestone Wales. We’ve tried a lot of classes with the Bear and they always start the same way. She sits quietly for a few weeks, unsure about everything as she’s pretty shy and it takes her a little while to warm up. We then have a few weeks of her having a great time and getting involved. Next, we get to the stage where she starts to get bored. And when she gets bored she gets disruptive. We’ve tried a lot of classes over the past year or so with varying success, so when the guys from Rhythm Time got in contact for us to try theirs, we thought why not. Panna Liverpool – a delight for the senses! As a result of my mummy fail last week of realising we still haven’t applied for Henry’s passport despite flying in less than 3 weeks, yesterday was a fun filled day out at Liverpool passport office. That was as you’d expect; boring and over pretty quickly. However, we did manage to find an absolute treasure of an independent coffee shop on our adventures called Panna Liverpool. Tonight was another festive calendar highlight as Darcie and Henry’s Nonna and Grandpops arranged with Father Christmas to have Sharon the Elf from Happy Hippo’s deliver a very special Christmas box to her. It is such a cute idea that basically has an elf come to your home and provide a special treat box from Father Christmas as they have been such a good girl / boy and have made the nice list. While there she reads a lovely Christmas story and has a chat to the child(ren) as they work their way through their boxes. For those of you who read my catch up last week you know that the past few weeks have taken a very different direction than planned – an extended family trip to France turned into a local family holiday to North Wales as last week needed a few extra trips to the hospital for monitoring. The good news is that not only all good with both myself and the Bean but we also had an amazing week away. Sunday last week after having to cancel everything, hubby found an amazing deal for a Monday – Friday break at a Haven resort a few hours away which meant we could leave Monday afternoon after my hospital appointment and be back in time for the Friday morning follow up appointments. Win – win! Now I’ll be honest my expectations were low….a week away in a caravan at a Haven resort? Definitely not our usual choice of break but we thought ‘what the hell’ – we were off work, had the time and for a change the weather in this country was due to be good so we went ahead and booked it and wow – aren’t we glad we did! She’s not an outgoing child, more like her daddy she likes to watch from the side and figure things out before getting involved. In complete contrast last week though she fell in love with a giant bear and played with all the other kids – we couldn’t have been more proud. Also sad though….why do they have to grow up so fast?! Accommodation = we had a 3 bedroom caravan which was comfortable enough, albeit a little cramped. The living area was big enough for a family of 4 and the kitchen was well stocked with utensils. The water was hot and plenty and to be fair it was everything we needed for a lovely 5 days break away. The bedrooms were small though and very cramped but easy enough to manage for 4 nights away. Location = Porthmadog was perfect for us; close enough to home to be able to get back quickly if we needed to but still far enough away that it felt like a break. The site itself is a short stroll to the beach and the town is cute with some lovely little shops and the Ffestiniog railway which made both hubby and the bear happy. Site Facilities = the site was well stocked for the essentials and more with a supermarket shop, take out (fish & chips of course), a restaurant, a social club, soft play area, swimming pool and arcades. 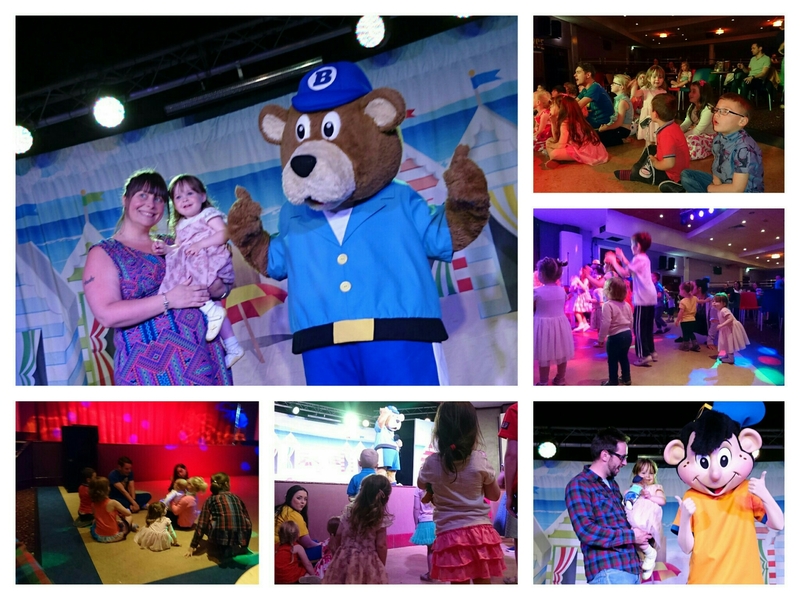 The staff were great and everything was so child orientated there is little surprise that the Bear enjoyed it so much. The entertainment wasn’t exactly our cup of tea (very am-dram) but they all got 10/10 or effort and enthusiasm and seeing how happy it made her and how much she enjoyed it, ensured that we had a great time too. Overall I couldn’t recommend it enough if you have small children. I have little doubt that as the kids gets older, this kind of holiday will provide enough to keep them fully entertained and happy for a week which means that I have a feeling that this will be the first of many of these kinds of holidays…..